A d v e r t i s e m e n t | At the beautiful One & Only Royal Mirage in Dubai we had the chance to shoot three bikini looks for Madeleine fashion. 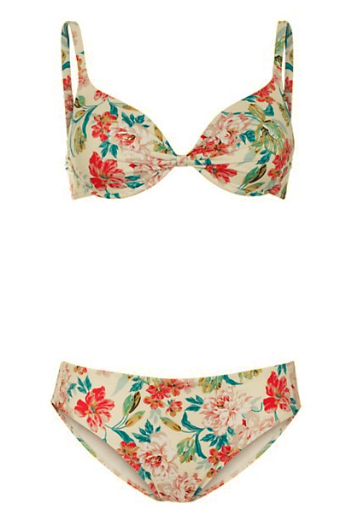 The first one is my favorite bikini, I think the pattern of it is so summery and playfull. I combined it with my Rewop sunglasses and a white scarf.